I love having access to fresh herbs and being able to add drying my own herbs to my already growing repertoire of homemade foods. 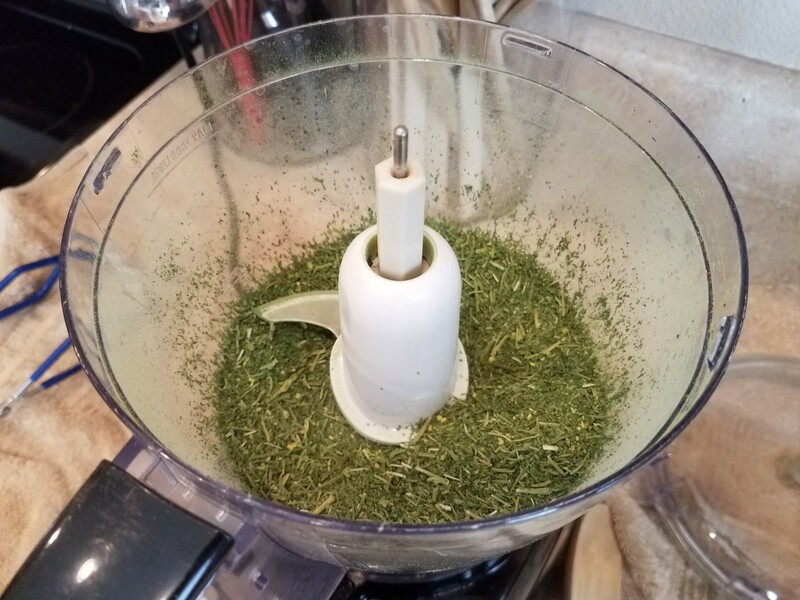 With canning my own fruits, vegetables, beans and meats, freezing, dehydrating and storing the same, along with my new garden, it only made sense to start growing and drying my own herbs, and making my own spice mixes. 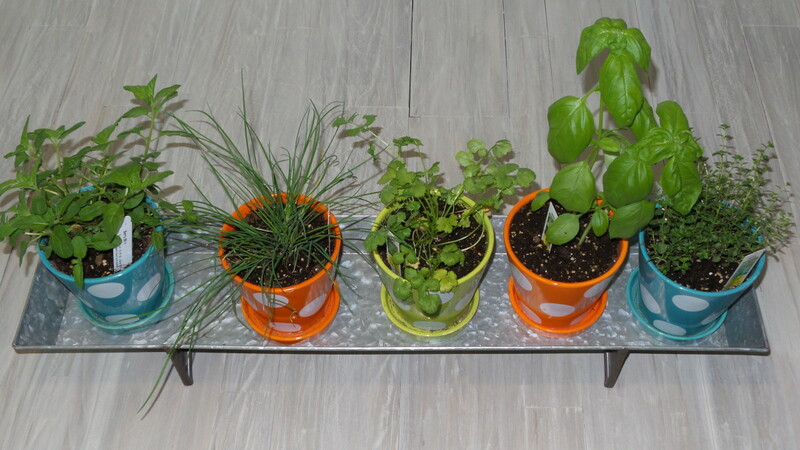 I think you'd be really surprised at the sheer benefits of having fresh herbs growing in your home and your backyard besides using them for your cooking and seasoning. 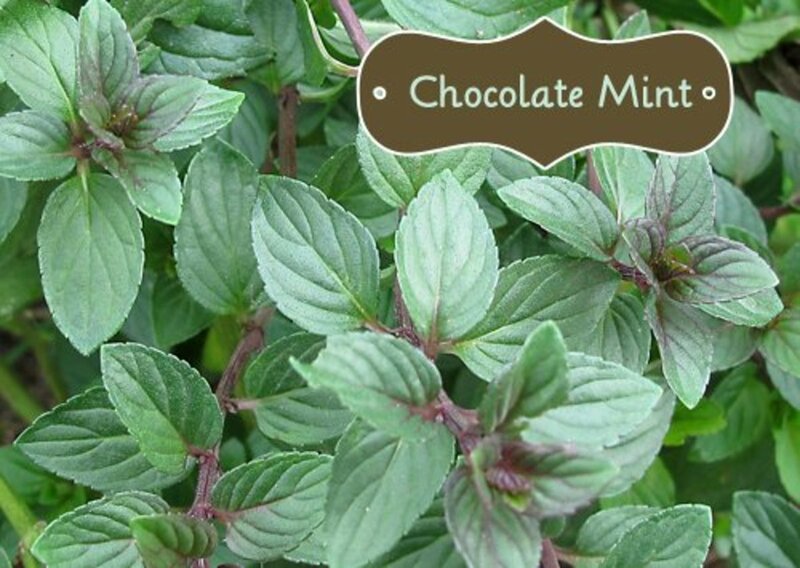 Basil is great for keeping bugs, specifically mosquitos, out of your backyard. Rosemary makes a great antiseptic for your homemade dish soap. Lavender is wonderful for using in your clothes dryer, sewn into little pillows as "dryer sheets," and leaves your laundry smelling wonderfully. Rosemary and lavender together soaked in witch hazel also make a great homemade bug spray. The best benefit of all I think, besides the amazing savings on your grocery bill, is the wonderful way they make your house and your yard smell all year round. Imagine getting compliments from all visiting friends, family, and neighbors on how wonderful your house smells. Coming down the stairs in the morning and the house smelling wonderful is my favorite. Okay, enough rambling on my part. 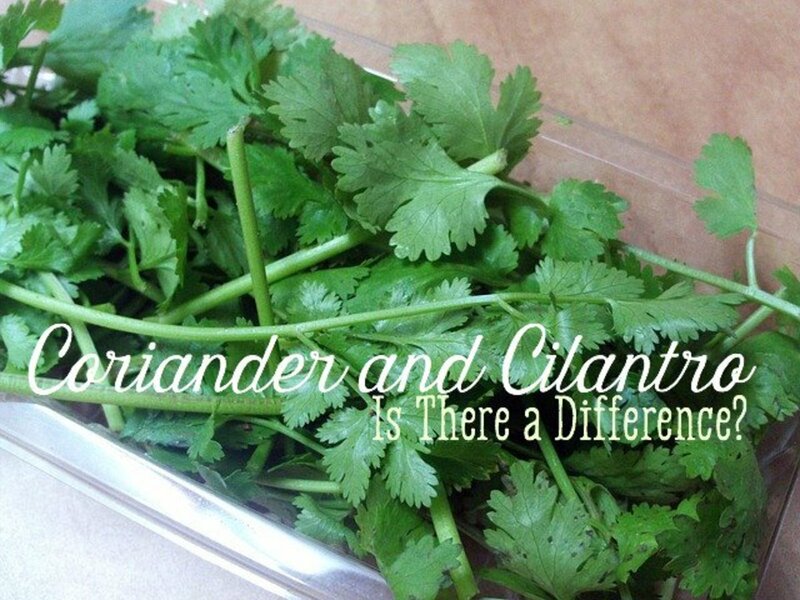 Let's get to drying parsley and we can save all of that other stuff for another article. 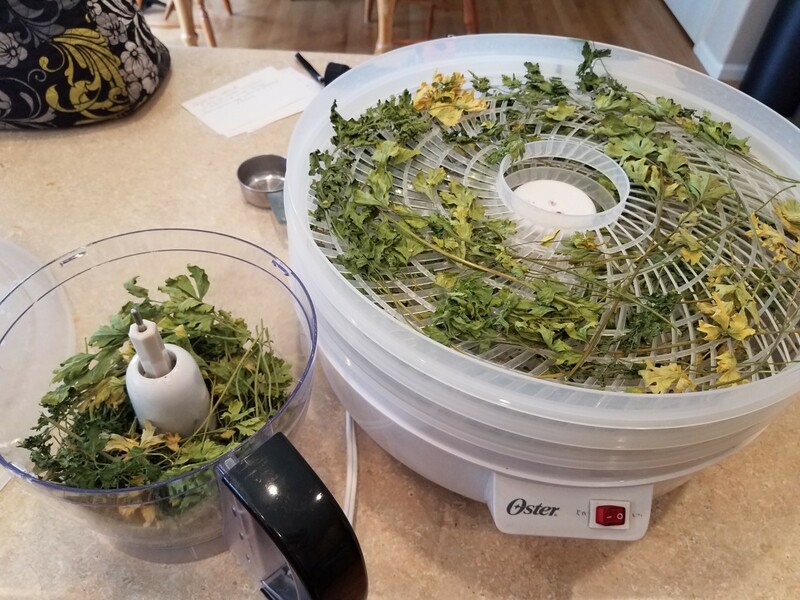 Pull out your dehydrator. You can get one at Walmart for about $30. Whether you grow it yourself or purchase it on sale at the store, you'll need at least a few bunches for this recipe. 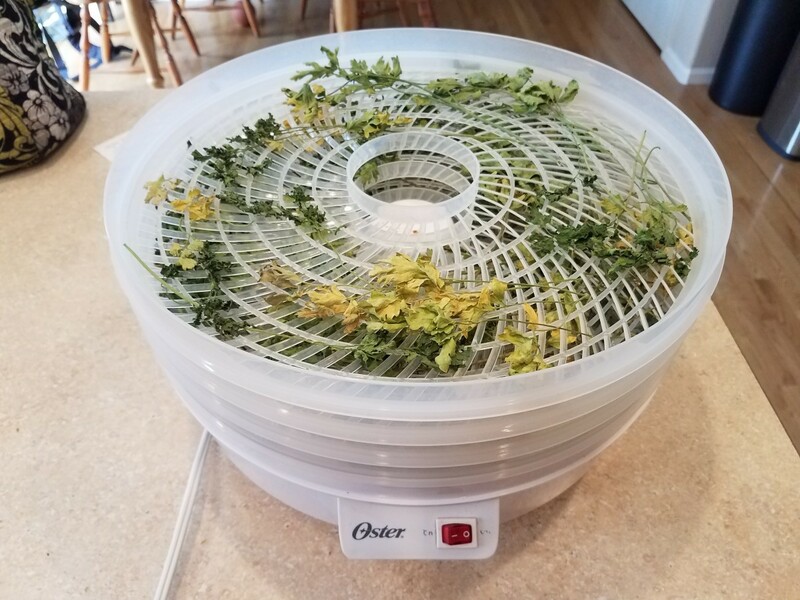 Lay all of your fresh parsley out evenly on all of your drying racks in the dehydrator. Put the cover on it and plug t in somewhere that it won't be pulled down by children, and where it has enough room for air to circulate all around it. Turn it on and run it overnight or all day long. You'll know it's ready when it's all dry and crispy. 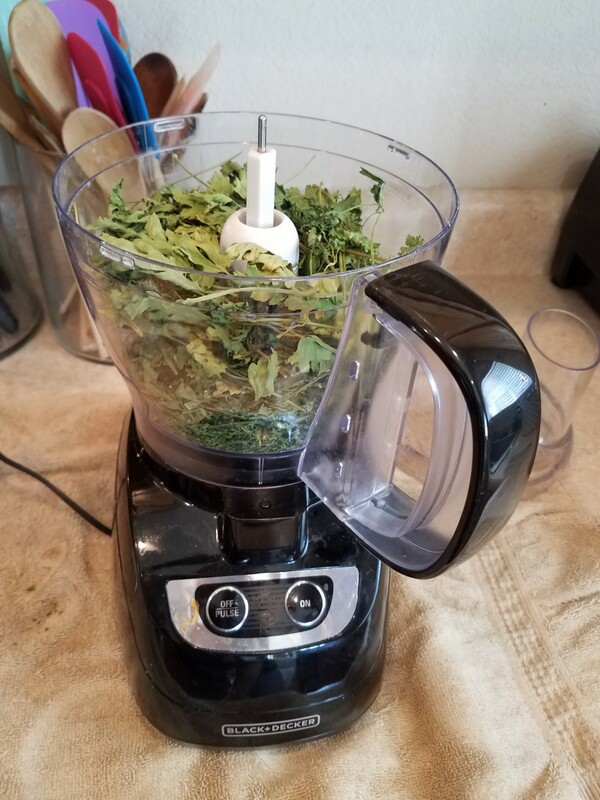 It's hard to use dried in branches, so I like to transfer it to my food processor in batches and blend it all up into powder, or close to it. 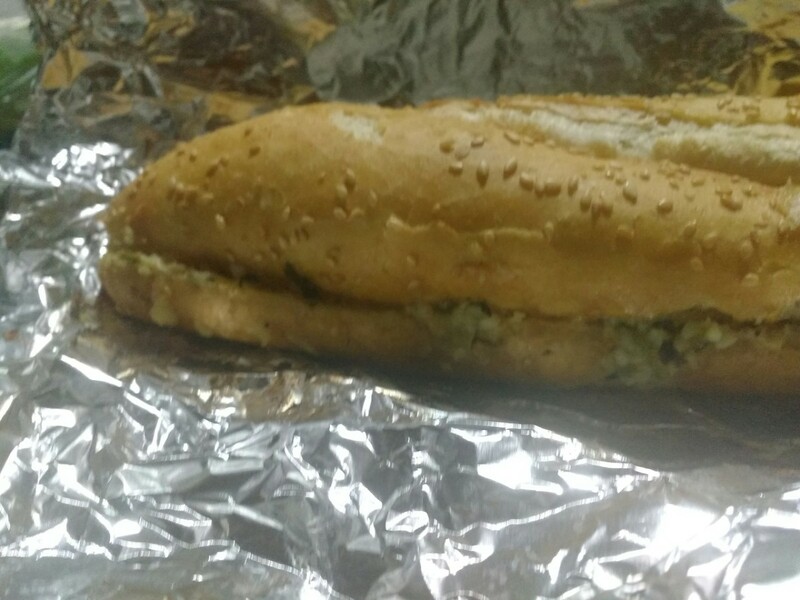 Keep it in an airtight container or bag and make sure to label it. It should last in a cool dry location indefinitely. 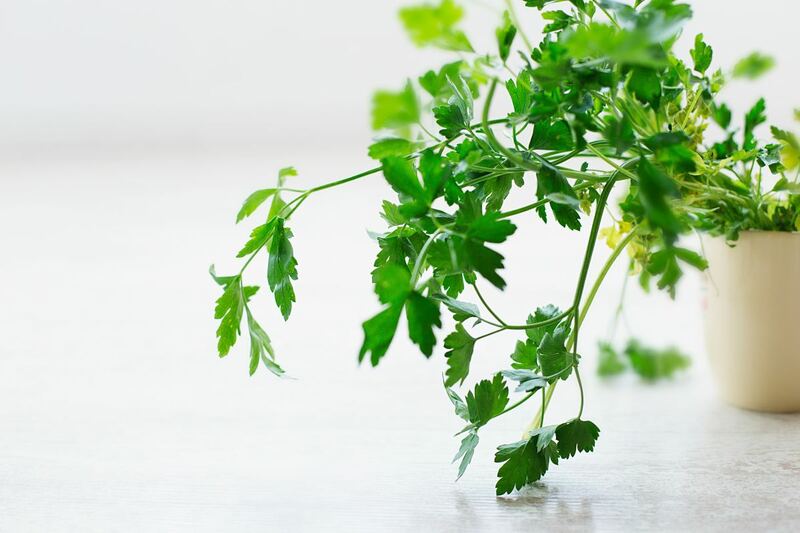 Lay out all of your fresh parsley on the drying racks, put the cover on, and turn it on to run all night long. 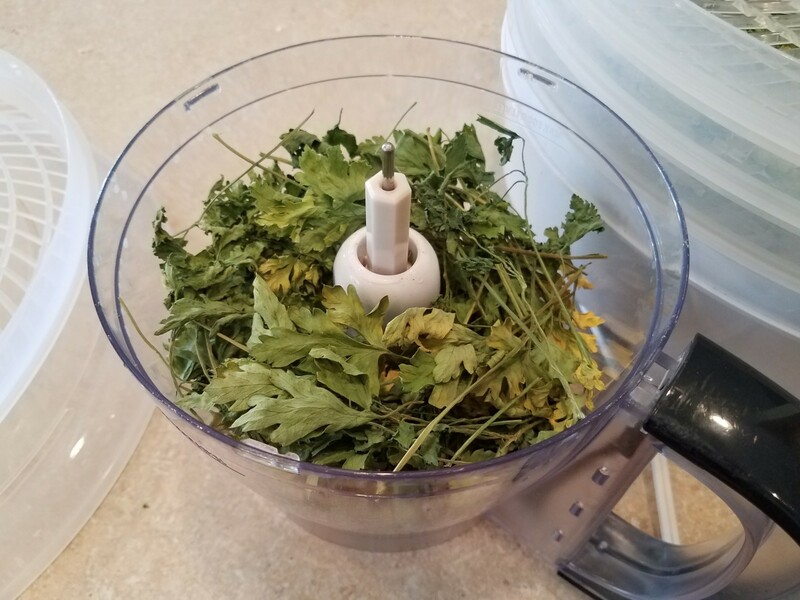 The next day, transfer little bits at a time into your food processor and [process your parsley down to powder. 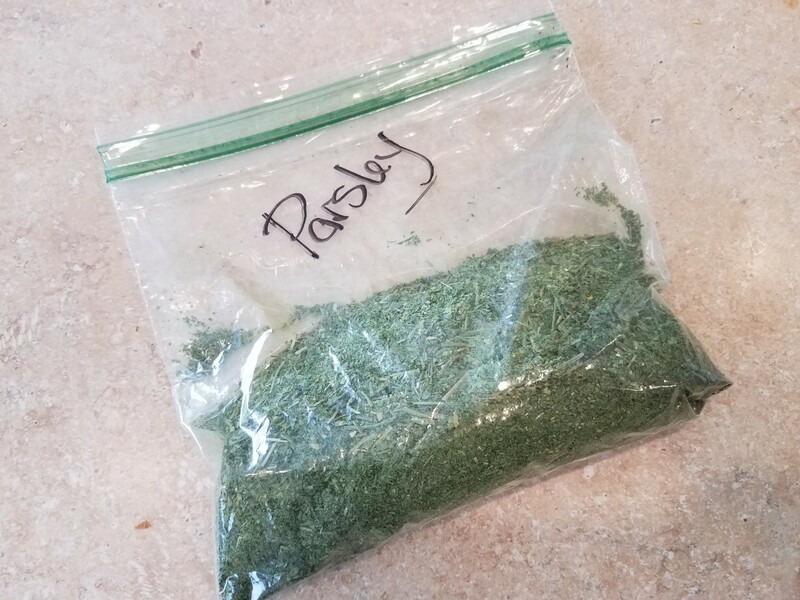 I just poured all of my dried parsley into a sandwich bag and placed it in my spice cabinet. Make sure to label it. Depending on the season, we grow our own different herbs in the backyard in pots, but sometimes we have to buy it at the store and we like to get it fresh. Fresh herbs are much cheaper than buying it prebottled or packaged, and they are also much healthier, with no preservatives or chemicals. Keep in mind, we also purchase from Sprouts, where we don't have to worry about pesticides or other chemicals. I don't think that anyone can argue that growing your own food is indeed the better path, but so many people don't know how to grow it, or don't think that they have the room. It's as simple as putting a small pot in a windowsill that gets some sunlight, or keeping a large pot on your front or back porch by the door. Herbs are super easy to grow and really thrive with a little bit of attention and a little sunlight. But if you haven't gotten there yet, or have no desire to grow your own, your natural grocery stores likely have a huge selection of fresh herbs to choose from. These really come in handy when I need herbs that I'm not currently growing, or that are not in season, that I need for my various Homemade Spice Mixes. I've got all kind of great articles on my Hubpages profile if you're interested in learning more. Be sure to comment and let me know if there's something you want to see and haven't. Yes! 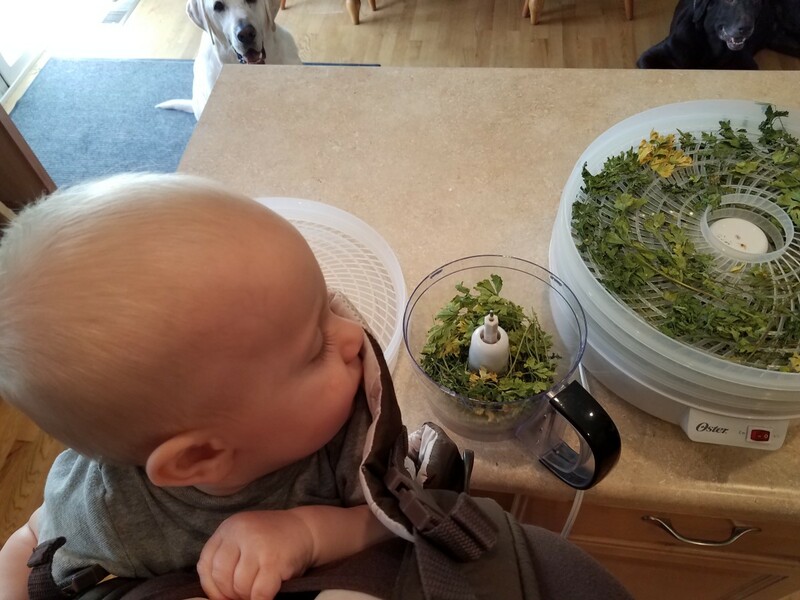 There are SO many different ways that you can dry your parsley. 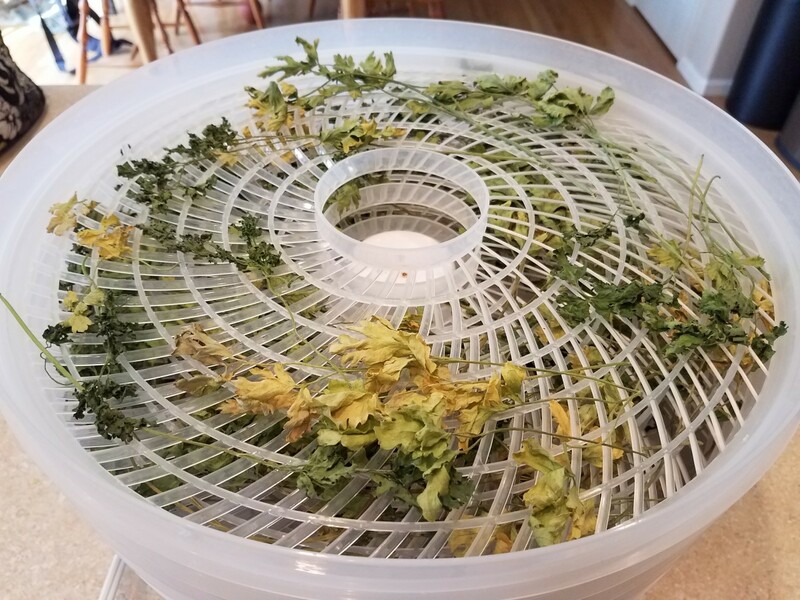 I think the dehydrator is best for quick, even drying, but you can also dry your parsley in the sun, inside air drying, in the oven on its lowest setting, and even in the microwave. To air dry it, bundle it and hang it somewhere, preferably inside a paper bag to keep it dust free. It may take a week or two. 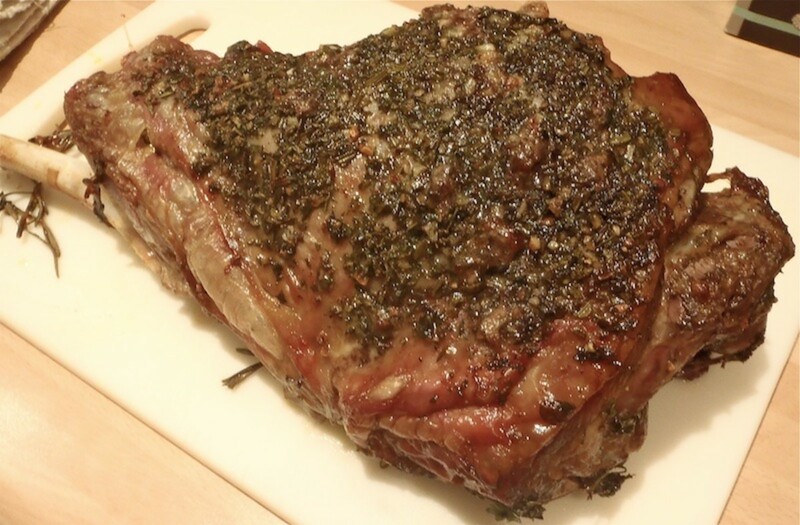 To oven dry it, lay it out on a cookie sheet and place it in the oven at the lowest setting for a couple hours. 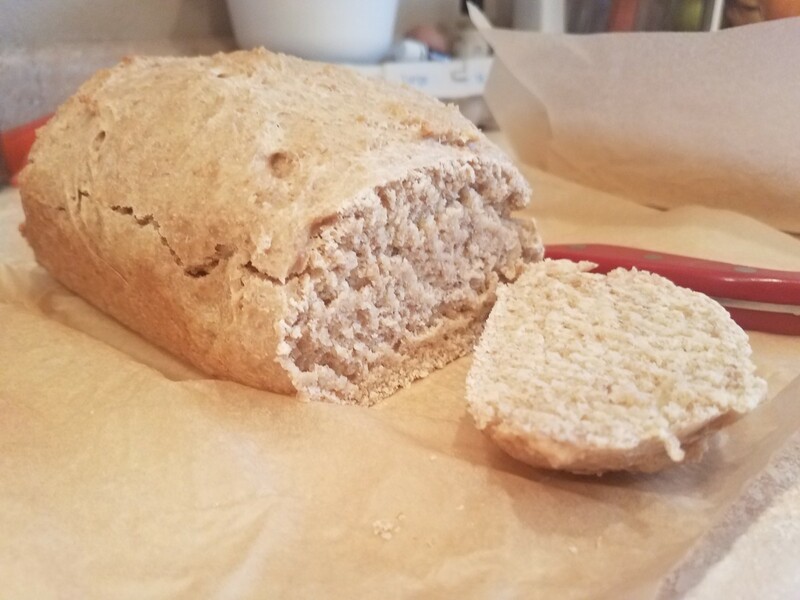 To microwave dry it, lay it on a paper towel and nuke it for a minute at a time until dry. To sun dry it, lay it out on a paper towel in the sun and flip it every so often. If not dry during sunny hours, bring it in before dark and put it out again the next day. 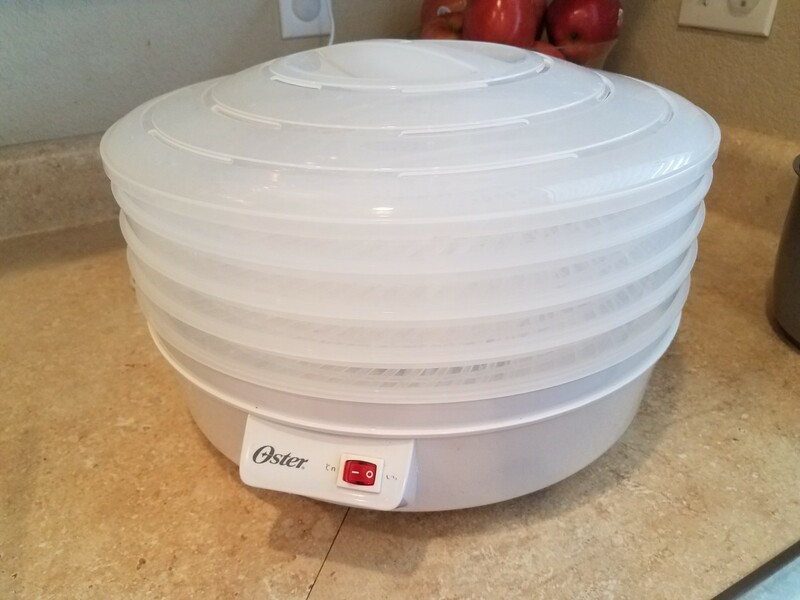 All other methods aren't super reliable or super quick, and you have to watch it in the oven or microwave to prevent burning, but all methods are effective. Hope this helps! 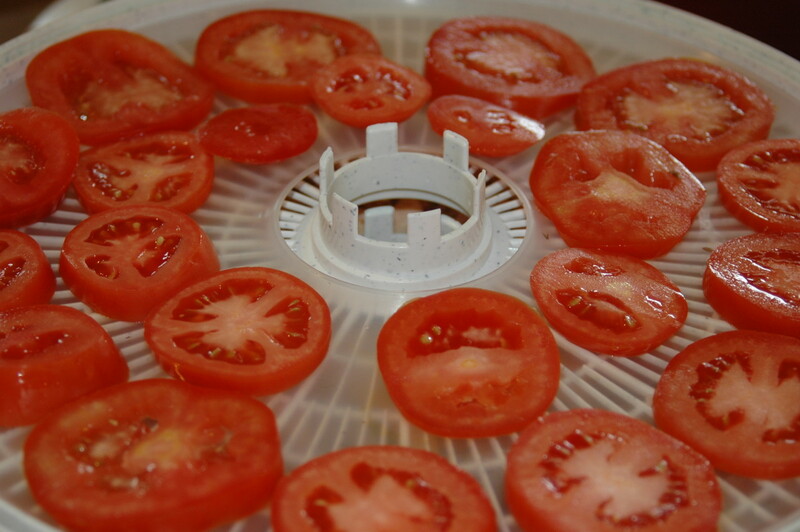 Victoria, is there a way to do this without using a dehydrator?